One of the star exhibits at the Gloucestershire Warwickshire Railway's 25th anniversary 'Cotswold Festival of Steam' was A1X 0-6-0T 662, which is seen here working the 09:00 Toddington to Cheltenham Racecourse brakevan special past Didbrook on 24 May 2009. It then spent the day at Cheltenham giving brake van rides. The diminutive locomotive is dwarfed by the Southern Railway 'Queen Mary' brake van. 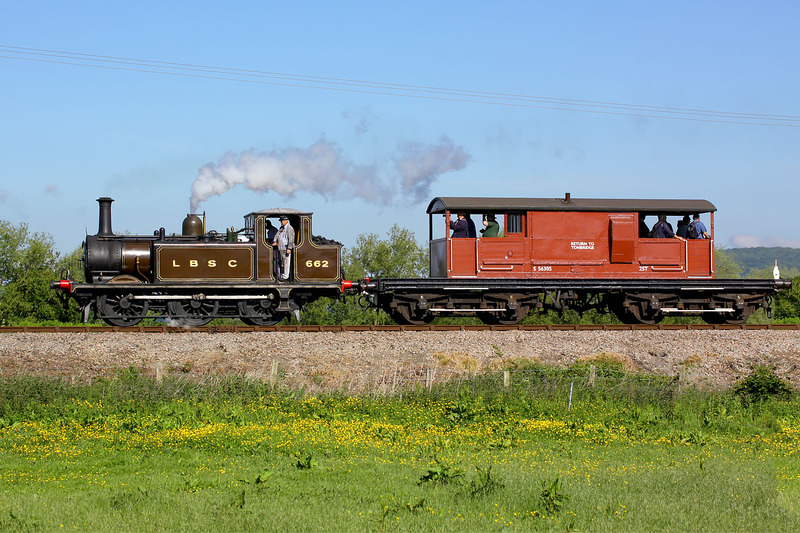 Although from the same railway company it does look that the little loco was deliberately paired with the biggest brake van available just for contrast!